TRESemmé is the hair care sponsor for NYFW for the 18th season. They sponsor several designer shows including Carolina Herrera, Alice & Olivia, Jonathan Simkai and many more. 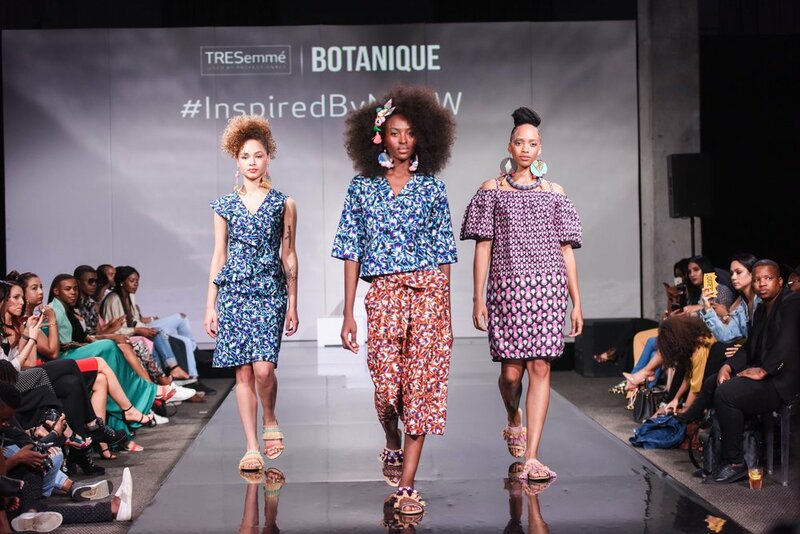 The TRESemmé styling team is an all-female team led by hairstylist to the stars, Justine Marjan and this year it included talented local hairstylist Ceecee Mabaso. Every season, a few hair trends come out of New York Fashion Week, that give us a glimpse into what we can expect to hit our shores. This season my favourite looks were mostly featured on white women, and so made it difficult for me to relate. 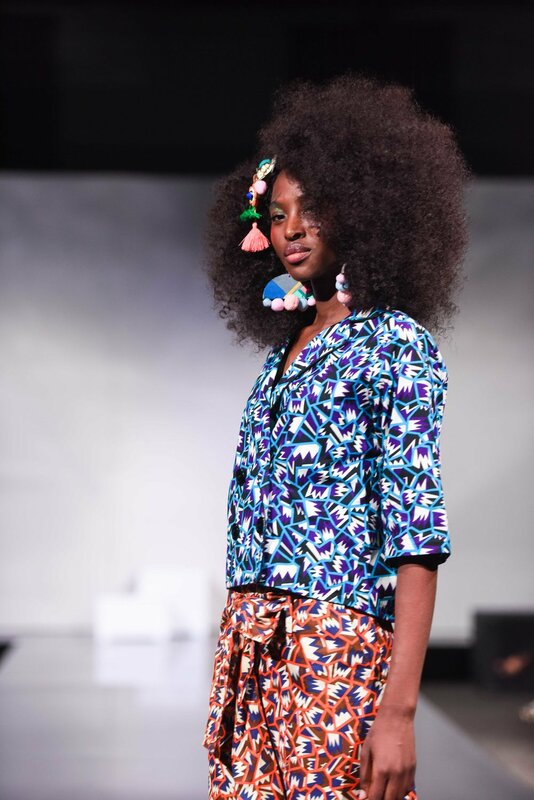 I always find it tricky when it comes to runway shows that don't have adequate representation, to find beauty looks and trends that suit and appeal to my natural curl hair look. 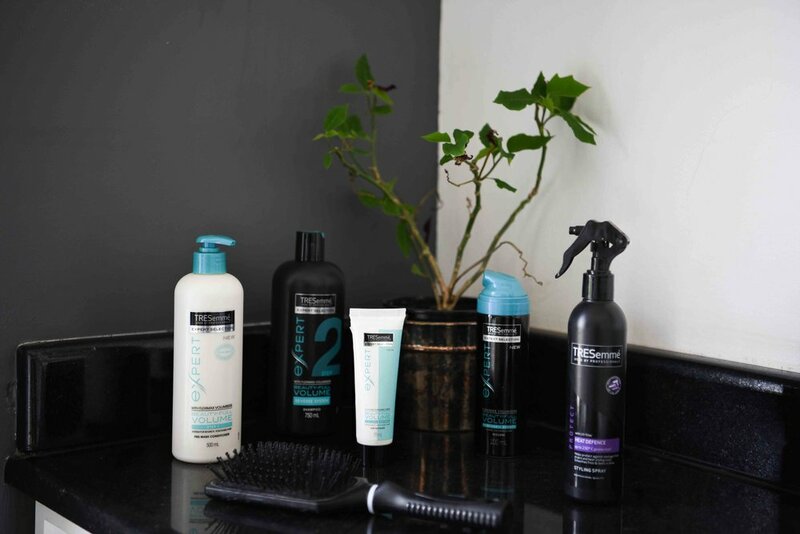 Thankfully, TRESemme makes two ranges specifically that work wonders on natural hair. The first of course is the Botanique range that is all about moisture and nourishment, and the second, which is my personal fav for big hair slayage, is the Beauty-Full Volume Range. The Beauty-Full Volume range: The range is formulated to gently cleanse the hair removing excess weight to give it a light bounce and volume. The range is also safe for colour treated hair. Beauty – Full volume is specifically formulated for the reverse regime, which delivers the same amount of volume as market leading salon volume variants without compromising on smoothness and bounce. The range contains a unique set of patented blend of polymers known as the Fleximax volumisers. These allow the creation of volume whilst leaving the hair soft and touchable. Due to its unique formulation, washing with TRESemmé Beauty-full volume means your hair still gets all the moisturising benefits of using conditioner but you're not left with hair that is weighted, (think greasy feeling). 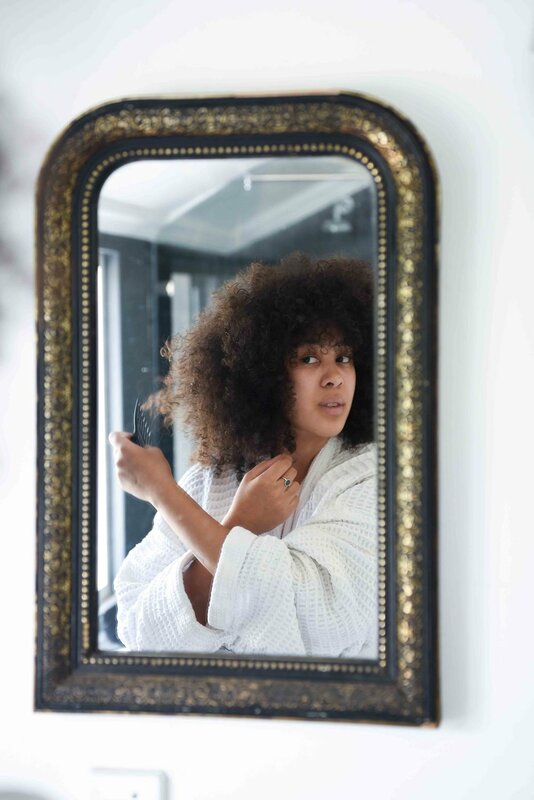 Below is a step by step guide to how I achieve my big hair bounce, inspired by the natural hair looks I saw on the TRESemme #InspiredByNYFW runway. It is so easy to achieve these salon-quality looks at home. On a day to do day basis, I use the Botanique range for moisture and nourishment, but on days when I want a little extra volume, I turn to the Beauty-Full Volume range. To achieve voluminous bounce, follow the steps below. 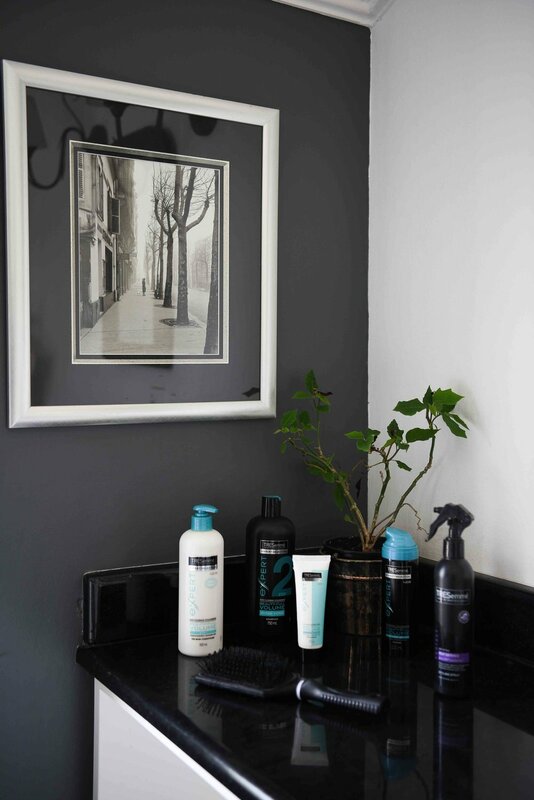 1) Start by washing with the Beauty-Full Volume reverse Conditioning and Shampooing system. The bottles are labled luckily, in case you forget to condition first and THEN shampoo. 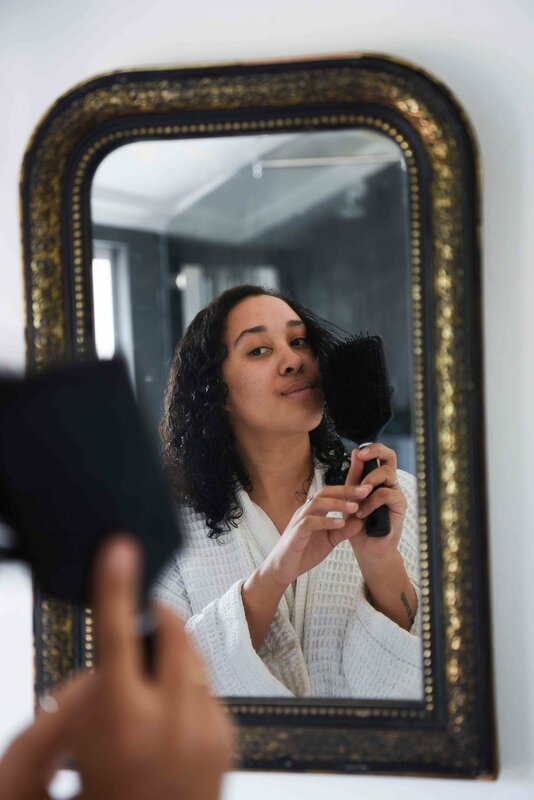 2) I brush my wet curls out with a wide paddle brush because it's more gentle than combing. Once you've brushed and detangled, apply the Flexi Serum, step 3 in the range, and then spray your hair generously with the Heat Defence spray. Heat Defence Styling Spray: this spray is designed to prevent any heat damage, protect the hair from temperatures of up to 230 degrees. 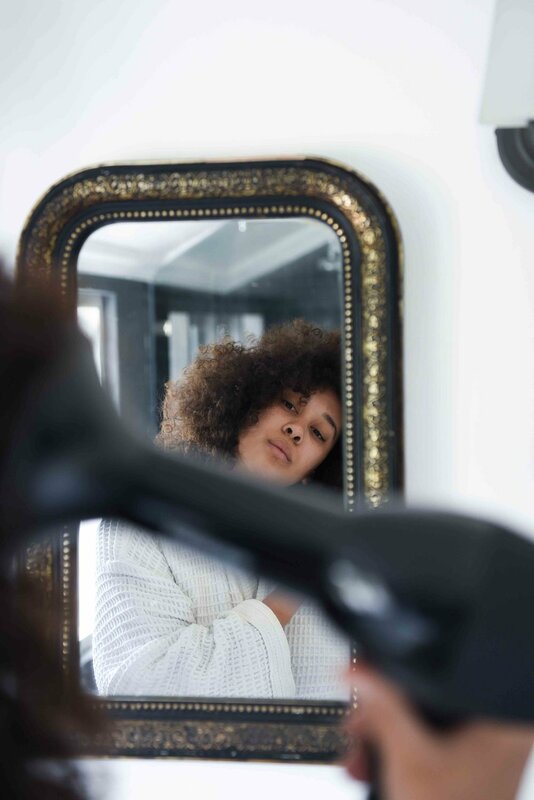 3) Blow dry your hair with a diffuser to reduce frizz, and then using an afro pick or afro comb, gently lift your curls from the root to give that full bodied look to your style. Finish off by spraying your completed look with the Setting Spray and you're ready to go! 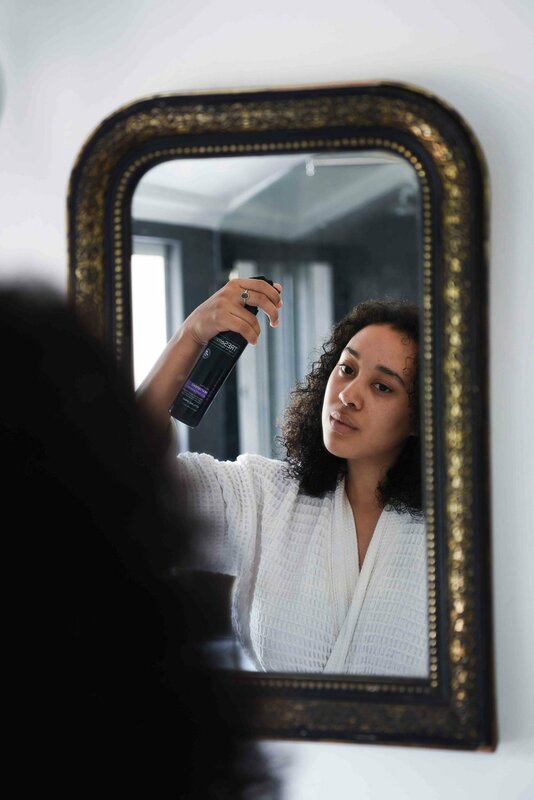 TRESemmé Firm Hold Hairspray: The spray has a fast-drying formula that work in humid or damp conditions and will hold your style together all day.